Anyone can join and participate individually or in a group. Schools, workplaces, faith communities, and neighborhoods can form a group and participate together. Log into your account to record your activity. A pedometer is not required to participate. The most active communities, individuals, schools, and worksites are recognized and awarded with prizes. 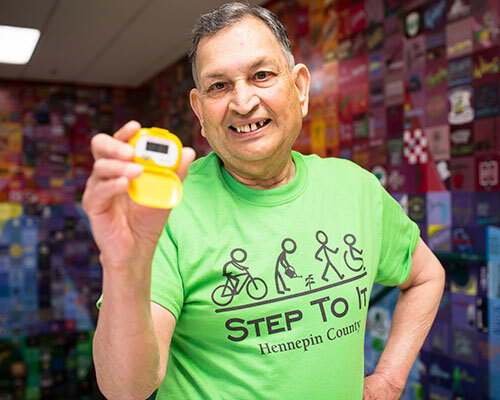 Each community awards Minnesota Twins tickets to individuals who logged the most steps in their age bracket. These individuals are also recognized on the field at a Twins game. 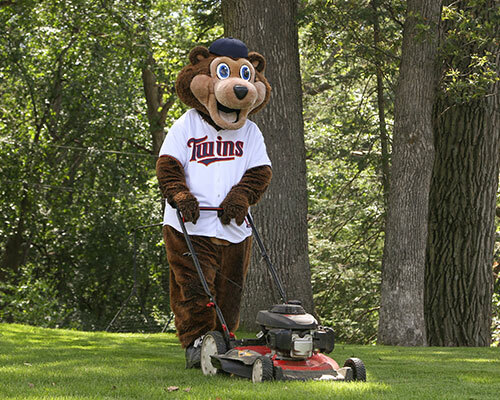 All participants are eligible for Twins tickets and Step to it T-shirts through random prize drawings conducted in each participating community. The elementary school with the largest number of registered participants in their enrollment size category wins a limited number of Twins tickets and a Twins collectible. Students must participate in the challenge for a school to be eligible for these prizes. Congratulations to 48 individuals with the highest number of steps in their community. View list of community winners (PDF). Congratulations to these schools with the highest number of registered participants. Way to Step To It! Hennepin County Public Health works with organizations, schools, businesses and communities to promote health and reduce chronic disease. Learn more about public health initiatives. The Minnesota Twins Community Fund supports thousands of nonprofit organizations by donating game tickets, memorabilia and autographed items. Learn more about the fund's work. Hennepin county public health works with organizations, schools, businesses and communities to promote health and reduce chronic disease.